WASHINGTON, D.C. – The Bing Stanford in Washington Art Gallery is proud to host Water is Life: African Nomads on the Brink. 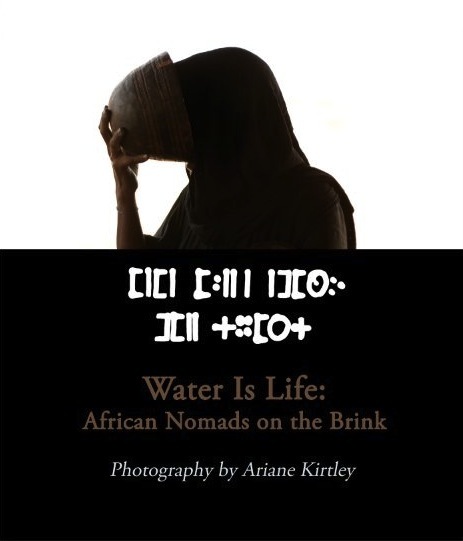 This exhibition of photography by Ariane Kirtley highlights the struggles of the people of Azawak, a remote area of Niger, as they live on the brink of dehydration due to years of persistent drought and lack of resources. Ariane Kirtley is the founder of Amman Imman: Water is Life, a Bethesda, Maryland, based organization whose mission is to build permanent wells in the Azawak, thus securing water for its vulnerable inhabitants. Her photographs document the lives of two nomadic ethnic groups – the Tuareg and Wodaabe Fulani – and their daily struggle to secure water. Water does exists in reliable quantities 600 to 3,000 feet below the earth’s surface, but can only be accessed by sophisticated drilling techniques. Amman Imman has taken on the challenge of drilling borehole wells that are able to provide clean, free-flowing water to the Azawak, and thus provide year-round relief for up to 25,000 people and animals. Kirtley’s photographs document the extraordinary efforts the Tuareg and Wodaabe undertake in search of water and the hopeful glimpse into the future each newly constructed borehole brings. The Bing Stanford in Washington Art Gallery is located in The Sant Building at 2655 Connecticut Avenue, NW; Washington, DC 20008. Red Line to Woodley Park-Zoo / Adams Morgan. Hours are 9:00-7:00 M-F, 12:00-6:00 Sat & Sun. The exhibit runs from March 22, 2010, until May 24, 2010. Please call 202-332-6235 for more information or visit bsiw.stanford.edu/art_gallery.